Imagined in the city of Lesa by Giuseppe Marenzi and his wife Alessandra Diana, Herno was founded in 1948. Born from the expedience offered by the extremely rainy climate of Lake Maggiore, Herno at first produced only raincoats. Later on, they started producing cashmere coats, which allowed them to start the exportation of their garments within Europe. Ten years after, their collection started to diversify, offering jackets, suits and even dresses. Today, Herno, who was named after the river that runs close to their office, can be found everywhere in the world. 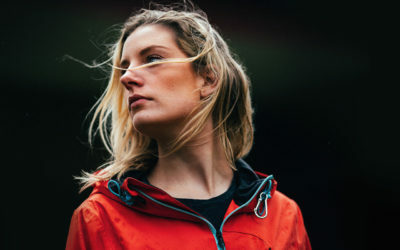 Driven by excellence, ethics and an obvious respect for the environment, the brand strives to innovate by always searching for the best technologies to create their clothing. A simple glimpse at their freshly arrived products is enough to figure out they stand apart from the other brands from their category. It’s with neutral tones, an impeccable cut and an outstanding manufacturing quality that Herno sets the pace. Everything they present has been studied and reviewed in order to offer ten stars on each and every aspect of their products. The 2 Layers Jacket for instance, uses the GORE-TEX technology combined with goose down in order to offer the best insulation possible. The wrists are protected by a lycra layer and the hood is fixed to the collar. You’ll also notice the absence of an apparent logo which is a signature of the brand. The design speaks for the brand and adds to its unique classic look. My personal favorite is the Laminar Trench. It’s a modern version of the trench coat. Filled with goose down, this jacket won’t leave you freezing and will most definitely make the heads turn wherever you’ll be going. This is where practical gear meets fashion. 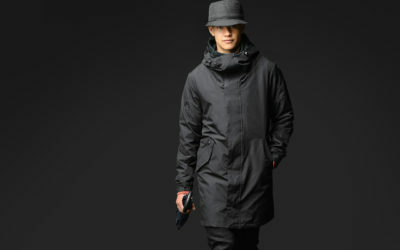 It is water-repellent, so you can wear the coat in winter or during fall and still keep your high-fashion urban look. Their feminine collection is as developed and refined. The Lana Diagonale features ¾ sleeves with removable muffs, an ultralight nylon bib and will protect you from the rain. The zipper is thick and solid and shows how every detail counts at Herno. Most of the pieces are offered in dark tones, but some models offer a variation if you’re a fond of brighter/lighter colors. Still, the variations keep the neutral tone and the brand’s sophisticated DNA. 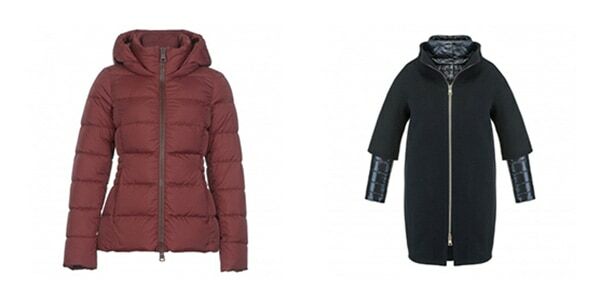 For example, their version of a puffed jacket, the Nylon Chamonix, is offered in navy and in a light red wine color. Again, the aesthetic of this coat isn’t the only remarkable aspect of the jacket, specially selected goose down sourced in Siberia or Italia was used for its insulation and its construction is flawless. The Marenzi family’s youngest, Claudio Marenzi, recently took over the business. He learned everything about the business from his father and from working in production in his early twenties, it didn’t take long for him to bring his ideas forward and become the marketing leader of the company. Years later, he continues to change the face of performance apparel with his refined Italian savoir-faire. 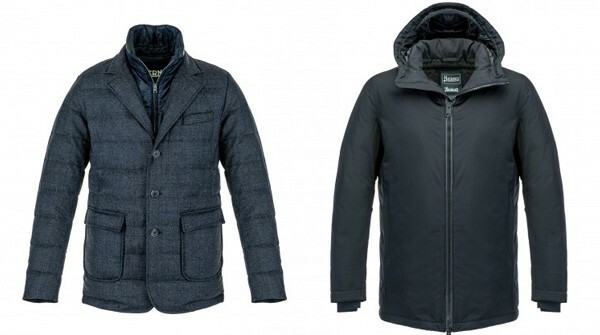 There is 6 thoughts on this article titled “Herno Outerwear: High End Fashion & Performance”. Hello Mary, the jacket should have a tag that will specify whether the model is a men’s or women’s. You can also look at the shape/fit, if it’s a women’s coat, it will have a slightly different shape from a men’s coat to accommodate a feminine body structure. I purchased the Lynde gold snap in titanium and I Love it BUT I thought as well as being beautiful that it would be warm being a down jacket… Yesterday on a cold NYC day the cold went right through!! Then I noticed the 2 feather insulation sign inside the jacket!! it was not in the prerpurchase information!! did this jacket come with 3 feathers for warmth? I am so disappointed because I love the gel and the way it looks. And PS…will it protect from the rain? I’m sorry Nancy, I do not see this jacket on our website to verify which one you are speaking about. Previous Previous post: Quartz Nature Rebrands as Quartz Co.